How do I obtain a phytosanitary certificate? The second step in the export clearance process is to certify your products meet the Importing Country’s Phytosanitary Requirements (ICPR’s). Certification can be completed on your behalf by IVS, along with the verification services. Or you may have approval under the export certification standard to raise and print phytosanitary certificates within your organisation. 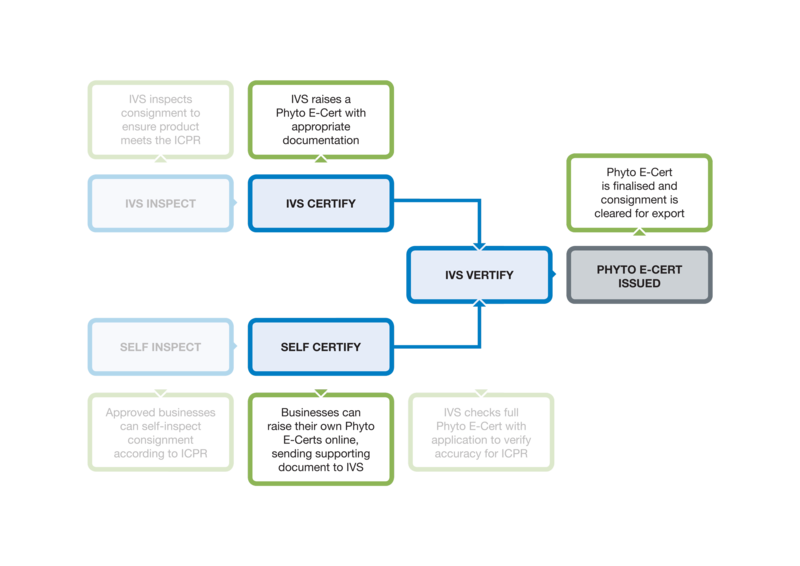 To protect the integrity of New Zealand economy and trading relationships, once the Phyto E-Cert is raised within the online MPI Biosecurity NZ E-Certification system, it is verified by IVS (an independent verification agency) for final government-to-government assurance that all criteria has been met.